Summary THE CHILDHOOD OF A LEADER is a drama, set immediately after the First World War, about the childhood of a young boy who will grow up to become a fictitious Fascist demagogue. 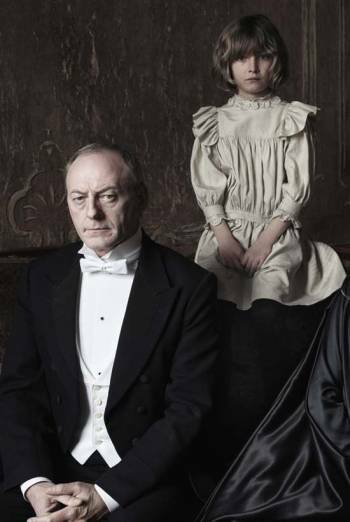 THE CHILDHOOD OF A LEADER is a drama, set immediately after the First World War, about the childhood of a young boy who will grow up to become a fictitious Fascist demagogue. Infrequent moderate sexual activity includes a scene in which a man suggests to his wife that he would like another child; she declines but her knickers, stocking top and upper thigh are briefly exposed to view as the husband runs his hand along her leg. In another scene a child reaches out and touches the breast of a young woman through the fabric of her blouse. Other issues include infrequent mild violence, scenes of adult cigarette smoking, and very mild bad language, including uses of 'dammit', 'goddamn' and 'hell'.